August 17, 2011 by Ken Ward Jr. While federal regulation of toxic coal-ash handling and disposal seems stalled at the U.S. Environmental Protection Agency — and faces efforts for a congressional block by West Virginia Rep. David McKinley — the safety and environmental integrity of coal-ash impoundments around the country rests firmly with state regulators. Our review reveals that most states do not require all coal ash landfills and ponds to employ the most basic safeguards required at household trash landfills, such as composite liners, groundwater monitoring, leachate collection systems, dust controls and financial assurance; nor do states require that coal ash ponds be operated to avoid catastrophic collapse. In addition, most states allow the placement of toxic coal ash in water tables and the siting of ponds and landfills in wetlands, unstable areas and floodplains. When measured against basic safeguards that the U.S. Environmental Protection Agency (EPA) identified as essential to protect health and the environment,1 state regulatory programs fail miserably to guarantee safety from contamination and catastrophe. 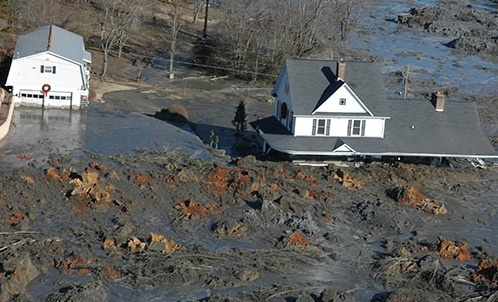 –Only 17 states require regulatory inspections of the structural integrity of coal ash ponds. This report proves unequivocally that state programs, without federal mandates or oversight, are a recipe for disaster when it comes to protecting our health and our environment. Strong, federally enforceable safeguards are needed to guarantee that our drinking water remains free of arsenic, lead, mercury and other toxic metals found in coal ash. The myth that states are doing a good job protecting Americans from coal ash is absolutely busted. The problem with relying on state regulations is that they are not designed for the unique problems of coal ash generally and coal ash impoundments particularly. While many coal ash impoundments are regulated by state dam safety programs, these programs were developed to deal with dams holding back water, not toxic substances. State solid waste programs, on the other hand, are not used to dealing with large impoundments and the threat of a catastrophic dam failure like the one seen in Kingston, Tennessee in 2008. Being 99% non-hazardous is still hazardous especially so when it’s all mixed together. Sometimes I wonder if anybody could produce a study and some would report about it. This study, honestly, isn’t very credible. – the study concludes because of the patchwork of state programs that the only option is for EPA to regulate CCR as a hazardous waste. False conclusion and assumption. CCR should be regulated as a non-hazardous waste, since it is, and there should be a federal baseline that all states must abide by. Matter of fact, there is just such a proposal out there that accomplishes everything that needs to be done. This issue isn’t or shouldn’t be complicated. The answer is pretty clear, unlike some of the surface coal mining issues that we face. You won’t find any engineers living downstream from dams and you won’t find any coal people living next to coal waste disposal sites. The state declared its intention to sue Mirant Mid-Atlantic, LLC, and Mirant Maryland ash Management, LLC, companies they say are responsible for the pollution. Mirant operates coal-run electric generating plants throughout Maryland. The waste from these plants, called fly ash, is buried in several landfills, including the Westland disposal site in Montgomery County and the Faulkner disposal site in Charles County. Samples collected in October of 2010 by the Maryland Department of the Environment in test wells drilled near these landfills revealed excessive amounts of selenium and chloride in ground and surface water. Testing has also found pollutants like arsenic, cyanide, mercury, and zinc was flowing into waterways in Charles County. ugghhh … that would be inaccurate.